Fixed and mobile network operators around the world are facing an ever- increasing demand by their customers for more data. This growth is largely due to a changing digital culture and a switch from voice to video, the growth in online video gaming, as well as the increasing adoption of many business applications which rely on the acquisition and analysis of large amounts of data. Faced with this exponential growth in demand, how are network providers to respond, especially at a time when traditional revenue sources, especially those based on voice are stagnant or in decline? 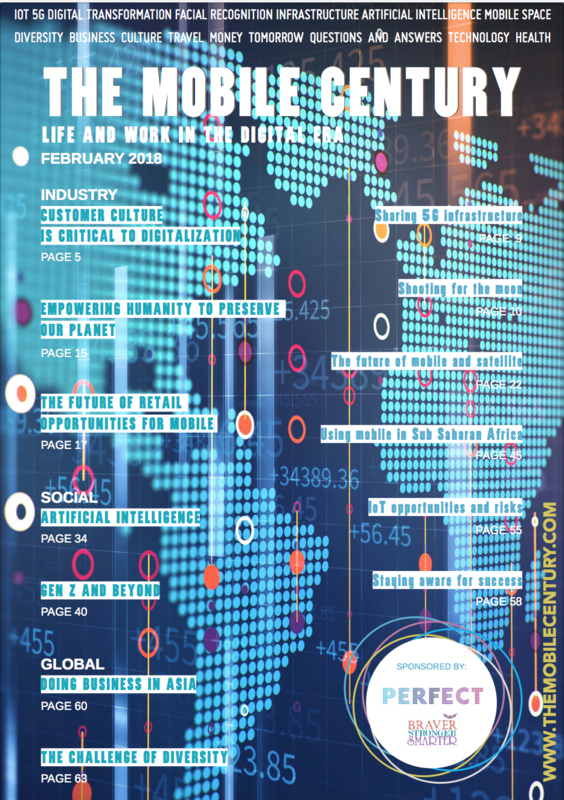 And how can we predict future demand for data and the required network investment, where the industry is split amongst a number of different actors, including broadband providers, ISPs and third-party content providers? The experience of New Zealand may be worthwhile to consider for others who are facing similar challenges. The New Zealand Government decided back in 2008 to launch an infrastructure project to take the country into the digital age. The ultra-fast fibre broadband (UFB) project had an original target of building out fibre to 75% of the country, but we are now scheduled to reach 87% by 2022. A key enabler of this project was the decision to structurally separate the former Telecom New Zealand into two: Spark – the retail arm and the mobile network operator; and Chorus – whose goal was to build and operate the fibre network. Chorus became a publicly listed company in 2011 and now eight years later we are already two-thirds of the way through the build. The Chorus network now passes a million New Zealand homes, and take up is now at 51% against a target of 19% at this point in time. The decision makers of the time can congratulate themselves on their foresight. At the time no-one would have predicted the rate of take up of fibre or the rate of increase in the consumption of capacity. The rapid growth of broadband data use in New Zealand shows no sign of slowing, with our latest figures showing a massive increase in demand. Our latest figures continue to show that fast, reliable broadband is now an essential part of many Kiwis’ day-to-day lives. Nationally, the average New Zealand home uses about 234GB of broadband data as at November 2018 compared to 172GB in 2017, showing more than a 35 percent increase. 234GB is the equivalent of watching nearly 80 hours of content on Net ix each month. Porirua (close to the New Zealand capital Wellington) consumed the most internet data at an average of 274GB per household, while Waitomo, a north island tourist hot spot due to its extensive underground cave system, saw a data increase of over 60 percent per household over the previous twelve months. Most homes across the country now have several connected devices going at any one time. With voice activated smart devices such as Google Home and Amazon’s Alexa now becoming commonplace, New Zealanders are using far more data and requiring faster, more dependable broadband speeds. The changing digital culture in New Zealand is evident in people’s viewing habits, which have shifted online and it’s no longer just down to Net ix. The Government broadcaster TVNZ now also have online only, OnDemand content, while Freeview has launched an industry- rst device for New Zealand that brings free-to-air content onto a streaming platform. Freeview’s new streaming device integrates the of ine and online worlds into one simple to use, tidy device that attaches magnetically to the back of the TV and removes the need for ugly aerials, coax cables and satellite dishes. And, of course, the online video gaming industry has also been driving demand for data. In July 2018 Chorus experienced the biggest ever data spike on our network due to New Zealanders downloading the latest version of Fortnite. New Zealand has already seen dramatic improvements in broadband thanks to the Ultra-Fast Broadband (UFB) bre rollout and the Rural Broadband Initiative. Improvements have also been seen with updates to the broadband electronics across our copper network. While bre is the fastest form of broadband technology, for areas where it’s not yet available or isn’t a viable option now or in the future, VDSL on our copper network provides a faster, more reliable service with less buffering than regular ADSL. VDSL often enables a customer’s service to be upgraded without a technician visit, reducing the cost of the upgrade. In the last few years many European countries have turned their minds to how to get fibre to bigger proportions of their population, beyond the urban areas where it makes commercial sense. Spain and Portugal are two countries which have done very well in tackling this challenge, but other countries are lagging behind. The shared infrastructure, wholesale only model adopted in NZ is definitely worth others considering, especially in an environment where telco’s around the world are struggling with the justification for investing in new networks when revenues are generally stable or in decline and growth is hard to find. Kate McKenzie brings her extensive communications infrastructure and leadership experience to Chorus’ top job. Before becoming Chorus’ Chief Executive, Kate was Chief Operating Officer of Telstra, Australia’s largest telecommunications company. She joined Telstra in 2004 holding a range of senior executive roles in strategy, marketing, products, regulatory and wholesale. 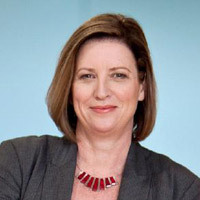 Prior to joining Telstra, Kate was a CEO in the NSW Government of the Departments of Commerce, Industrial Relations and the Workcover Authority. She worked in the Cabinet Of ce on the development and implementation of competition policy, energy reform, privatisation and a range of complex Commonwealth/State negotiations. Kate also has signi cant corporate governance experience and is currently on the board of Allianz, having previously been on the boards of Foxtel, Sydney Water, Reach, CSL and Workcover. Kate is a qualified lawyer with a strong track record in understanding government and regulatory environments. Kate also has a passion for innovation and technology and for customer centricity. She is also is a member of Chief Executive Women, has served on the Telstra Foundation, Telstra’s philanthropic arm and has had a long history of involvement in promoting the interests of indigenous communities.